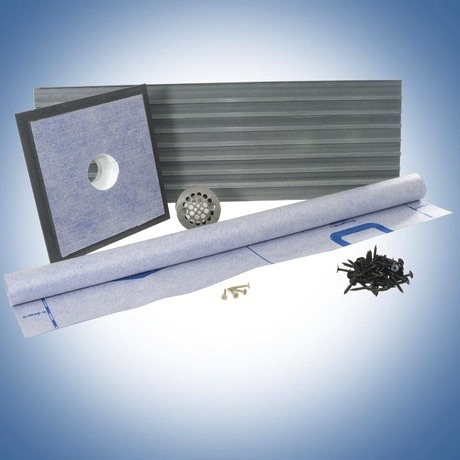 The ClearPath(R) Curbless Shower Pan System is designed to maintain independence in life while offering today's most fashionable and sought after designs in level entry showers. - ?" - 1/4 " per foot slope can be designed to meet ADA slope or standard plumbing slope requirements. - Strong, structural underlayment, TI-ProBoard. - No cutting into joists. - May be installed over engineered joists, like Glulam(R), TJI(R), ALLJOIST(R), etc. - Reduces weight of mudbed. - Drains are pre-sealed in drain plate. - TI-ProBoard in 4', 5', or 6' length. - PE Waterproof Sheet Membrane.